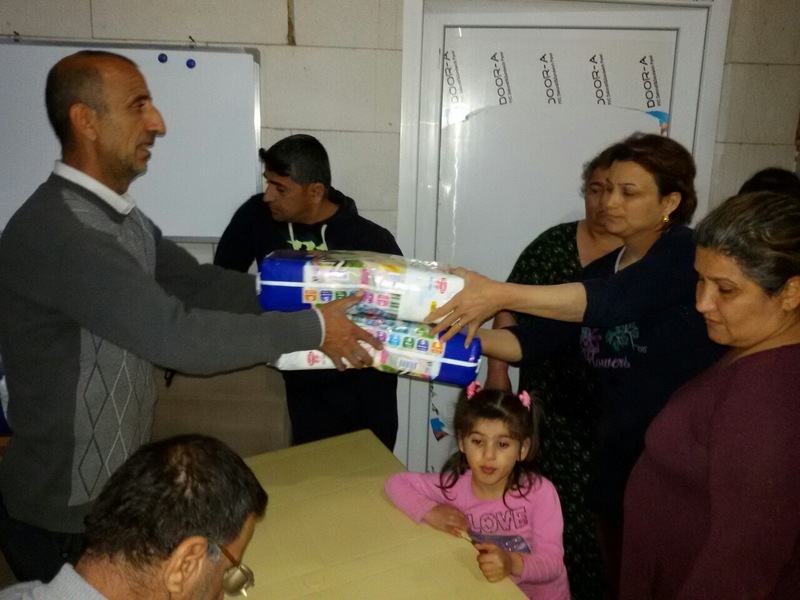 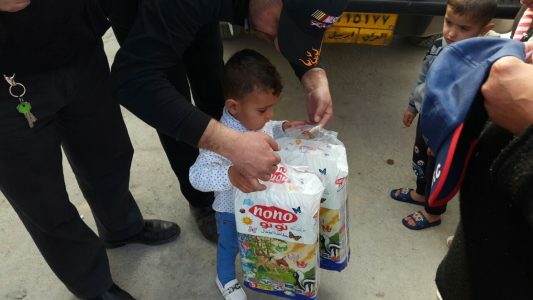 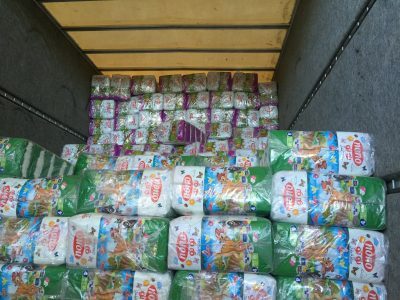 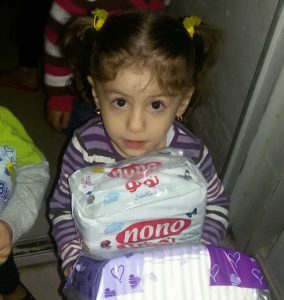 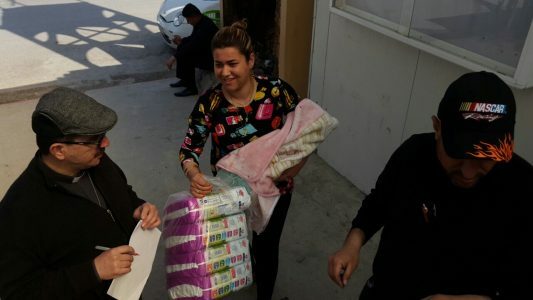 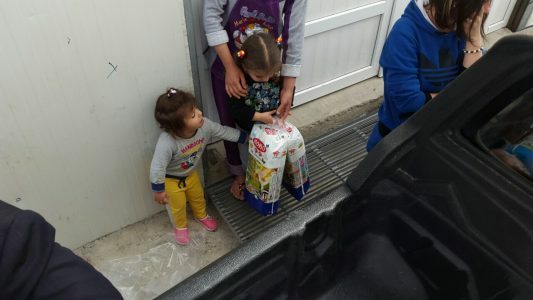 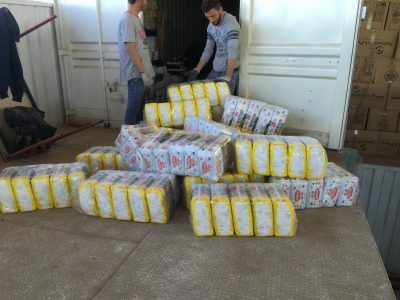 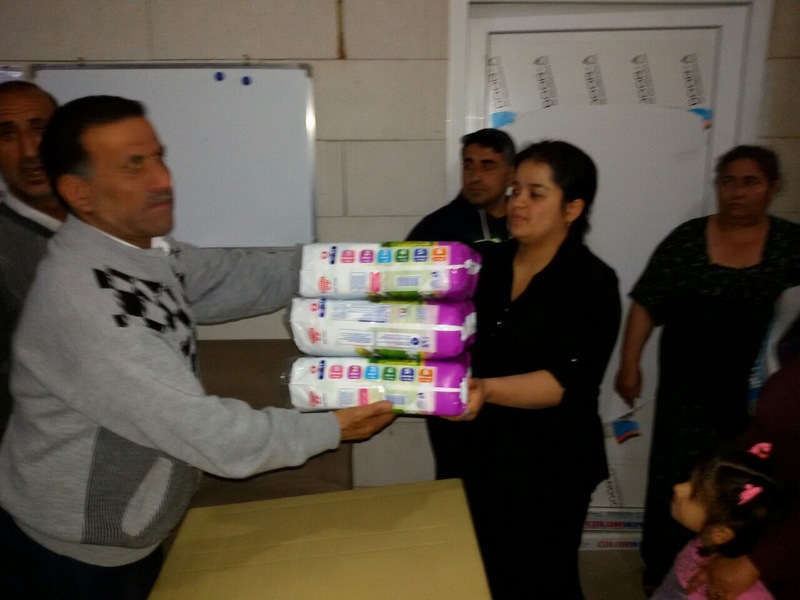 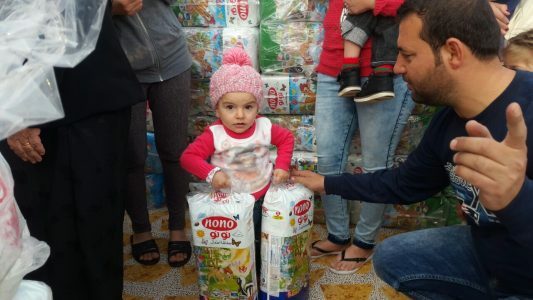 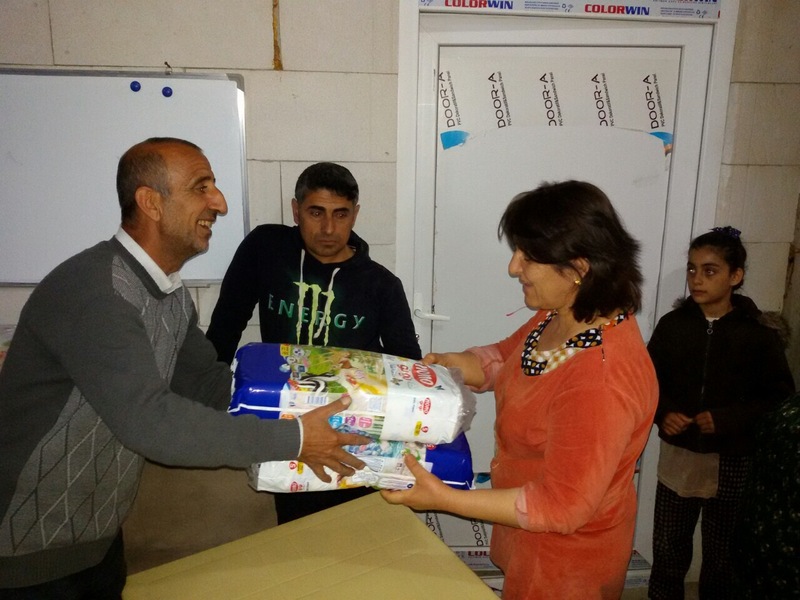 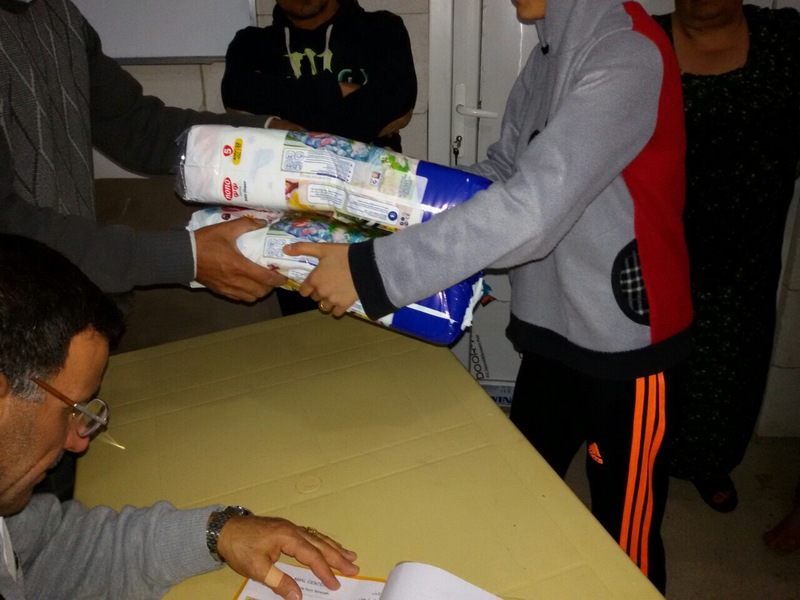 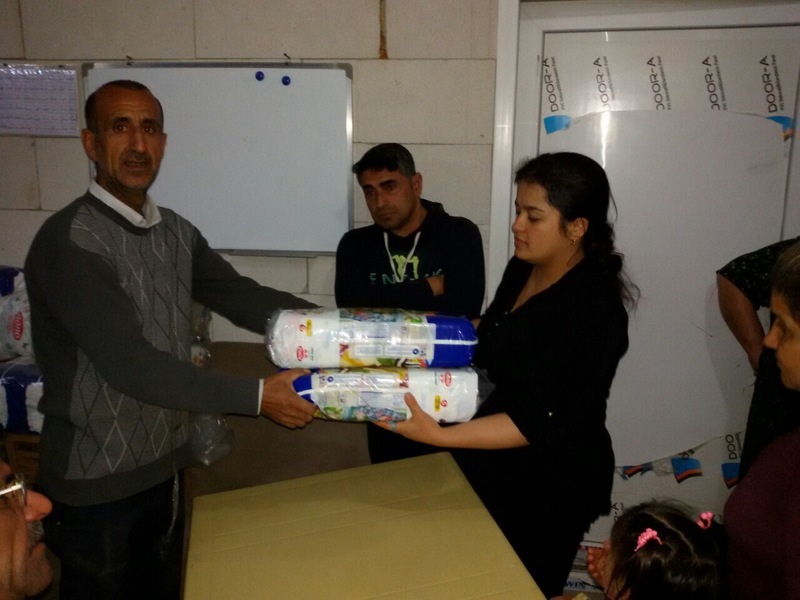 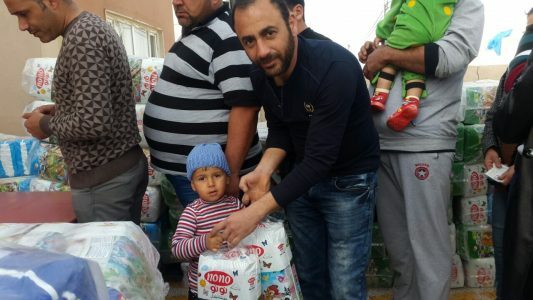 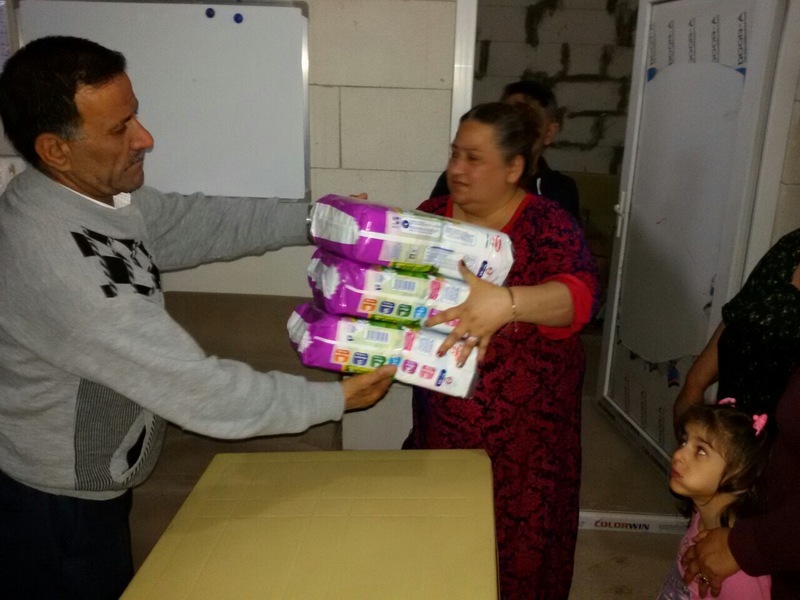 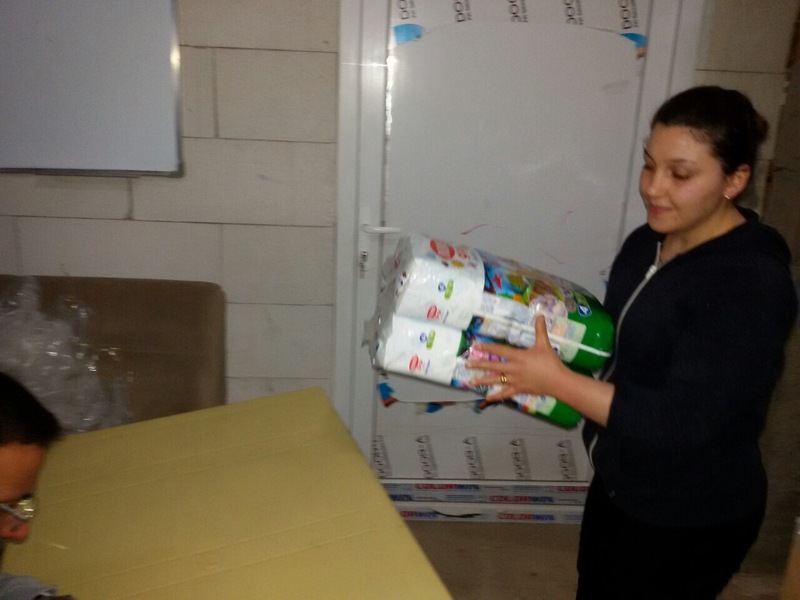 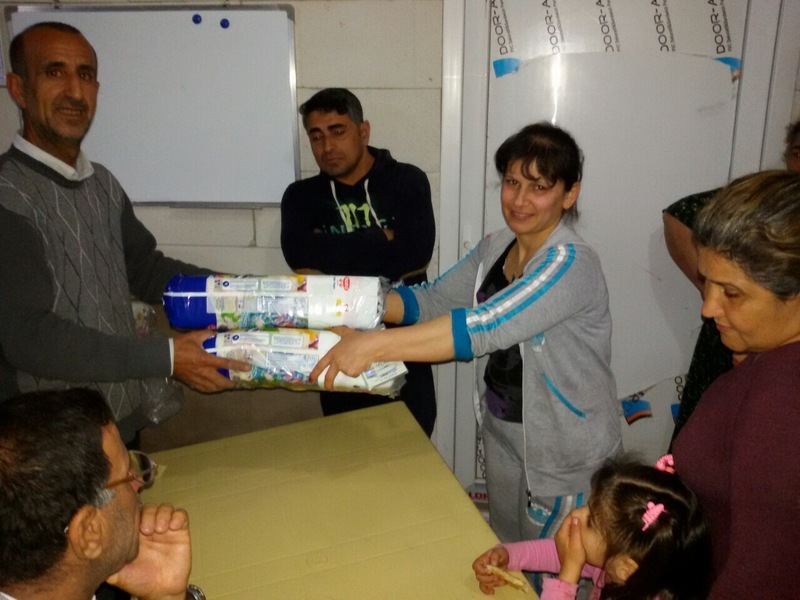 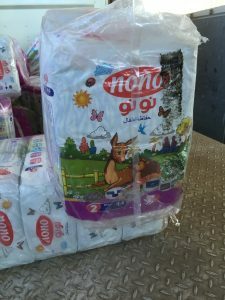 A gift of just $10.00 provides a 1 month supply of diapers to a Christian refugee child. 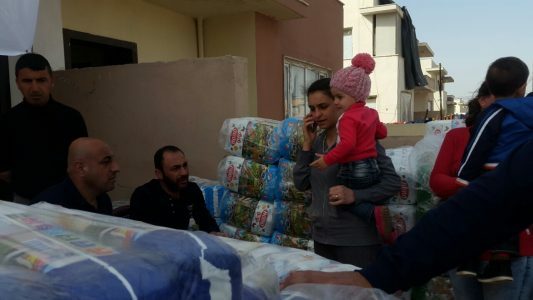 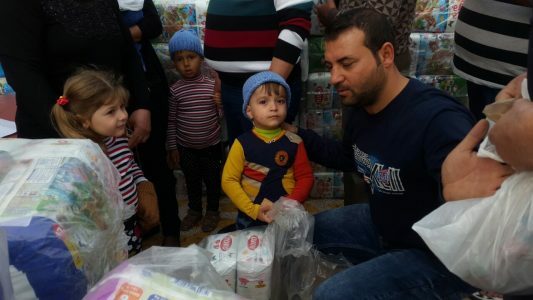 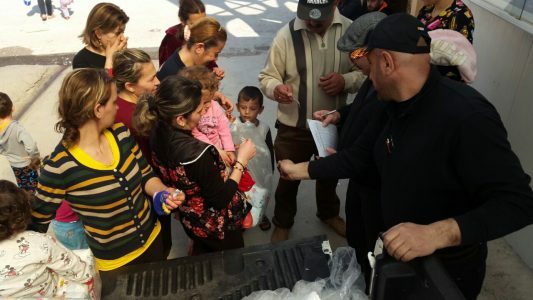 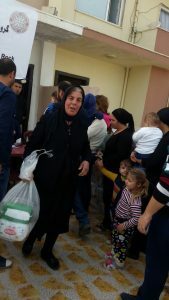 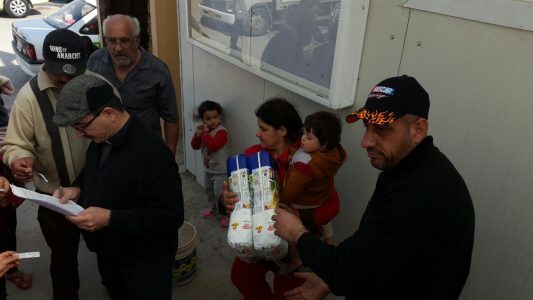 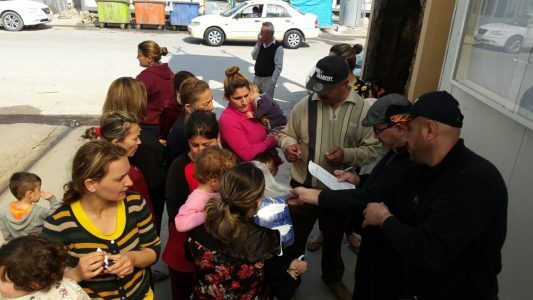 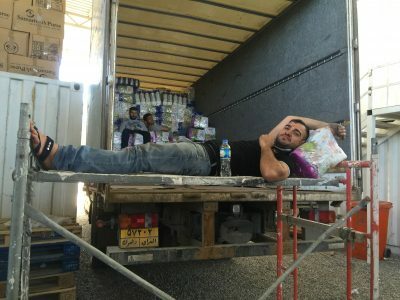 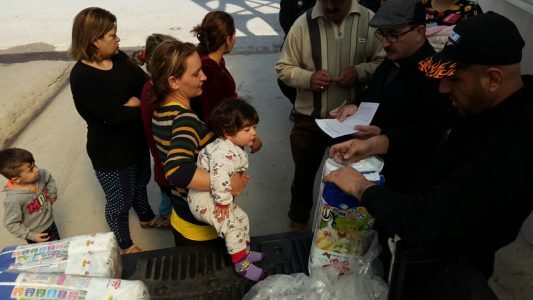 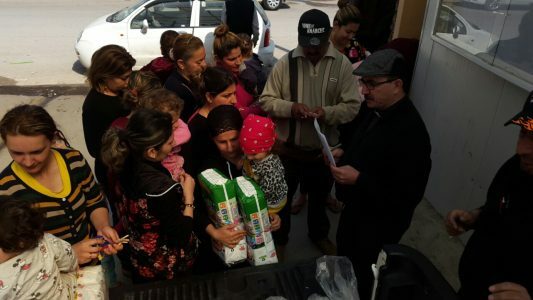 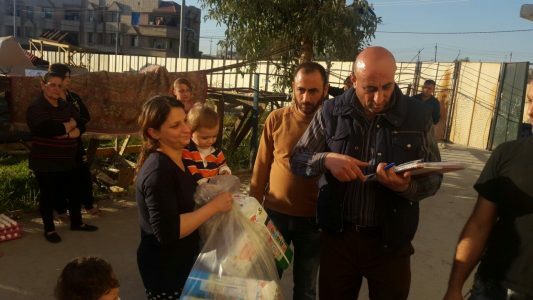 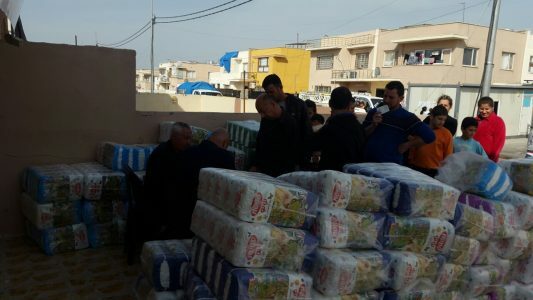 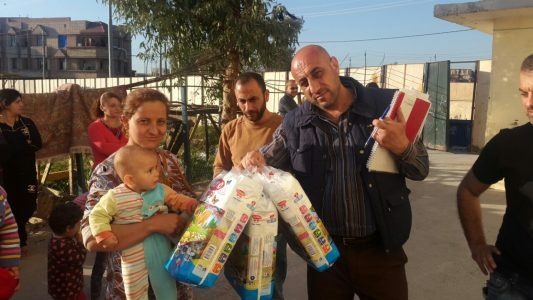 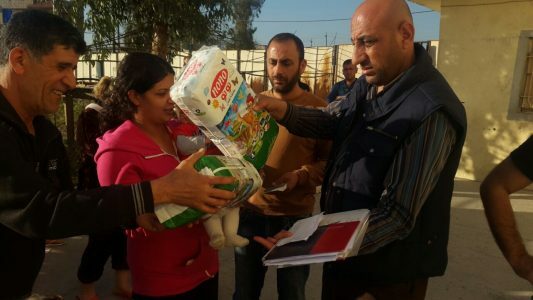 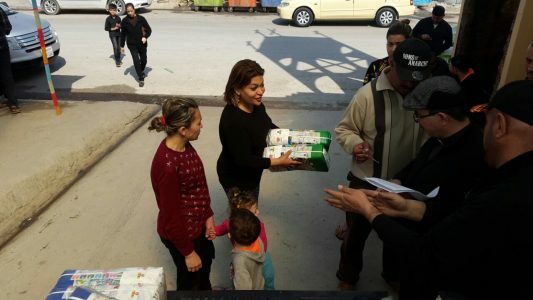 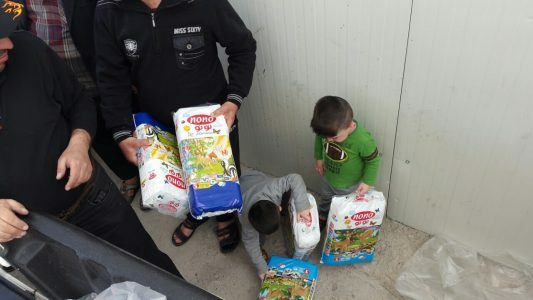 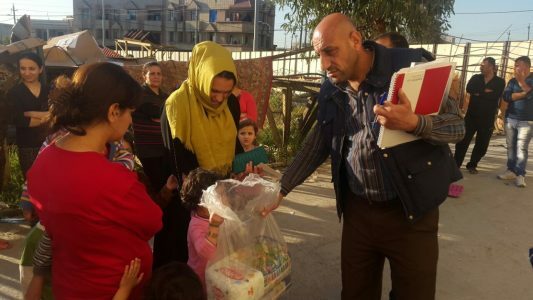 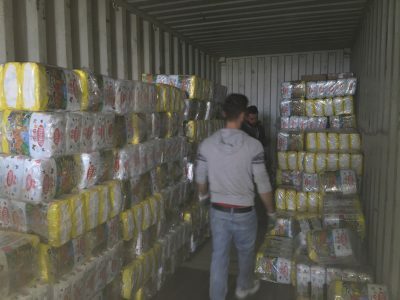 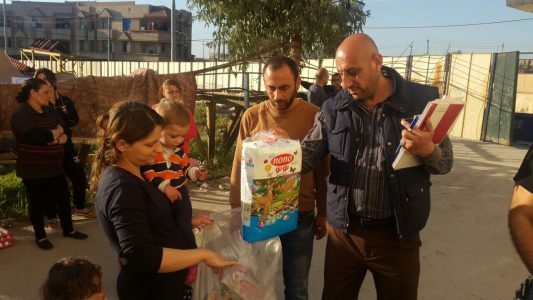 Christian families in areas of Iraq controlled by the Islamic State were forced to flee their homes with infants in their arms and unable to take anything of value with them. 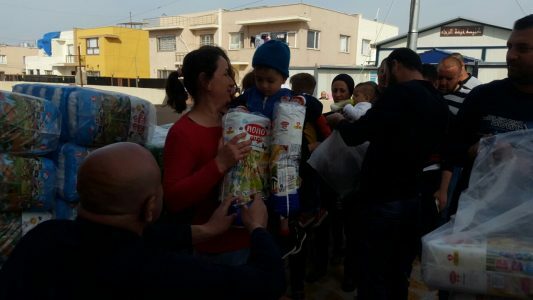 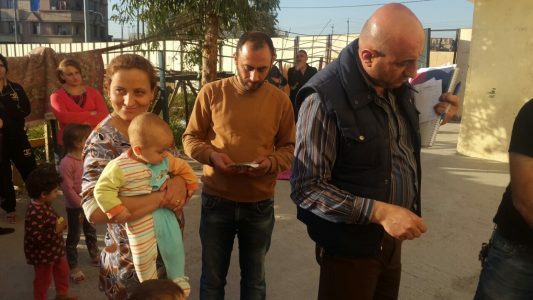 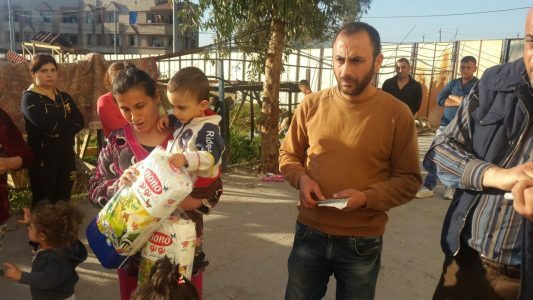 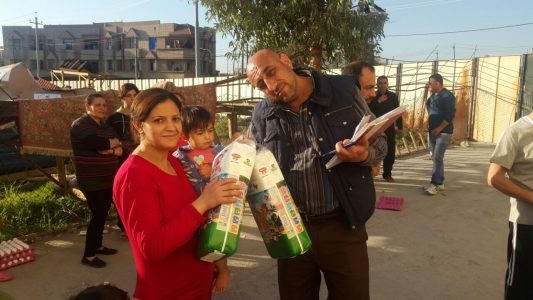 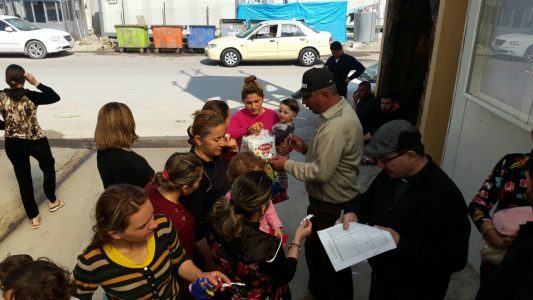 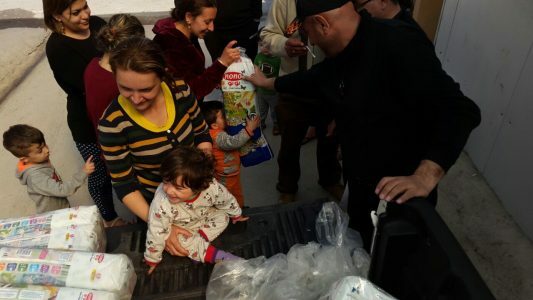 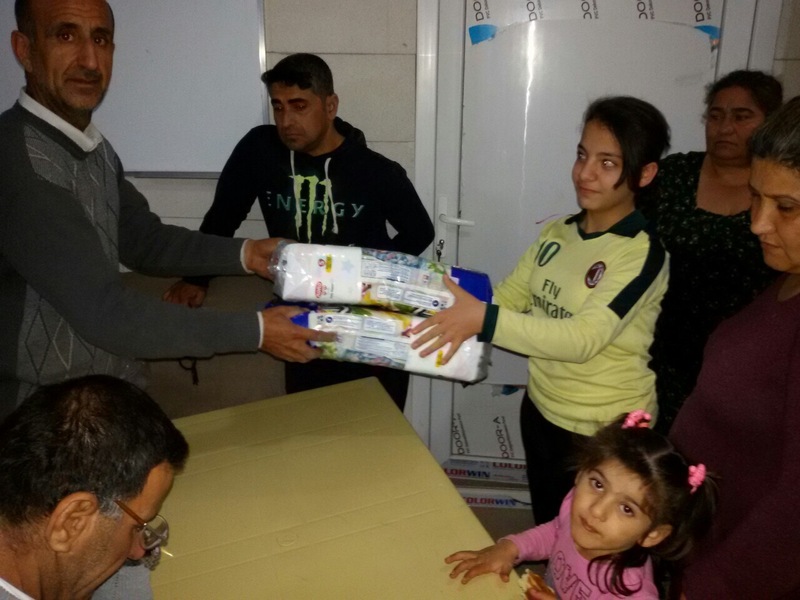 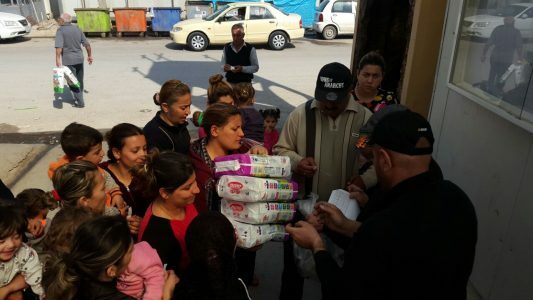 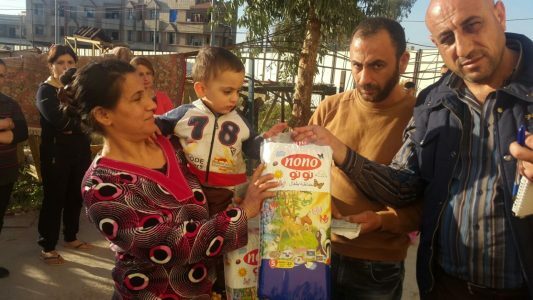 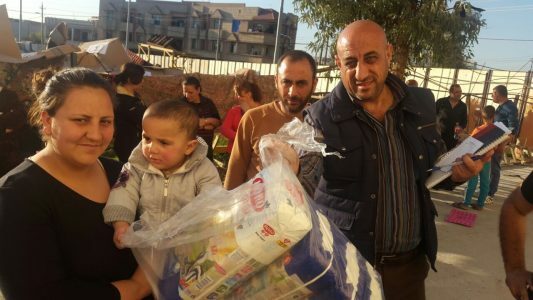 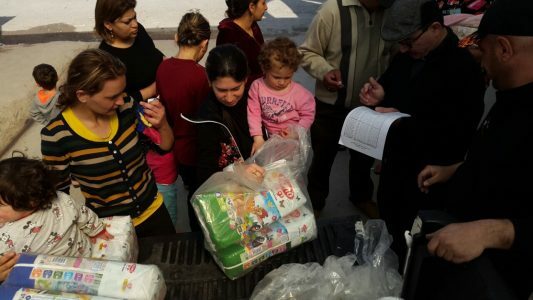 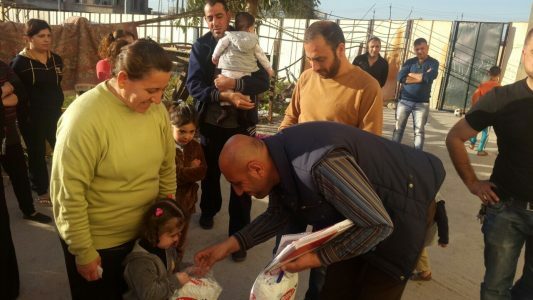 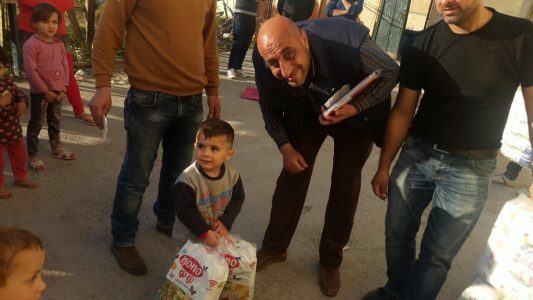 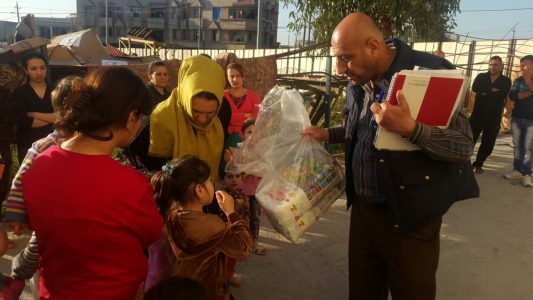 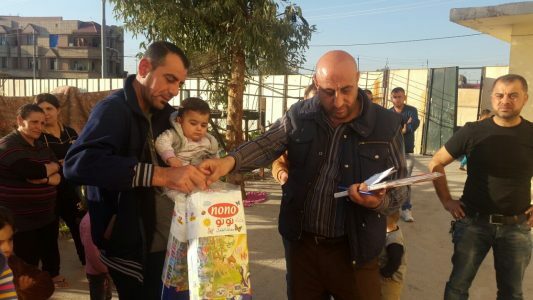 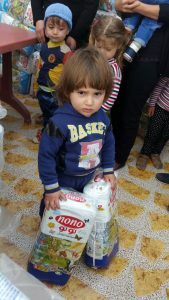 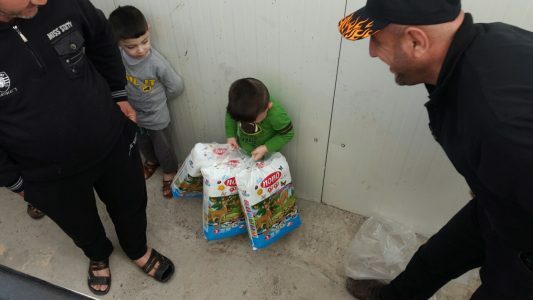 The Christian families with very young children who fled the Nineveh Plain and Mosul need our help. 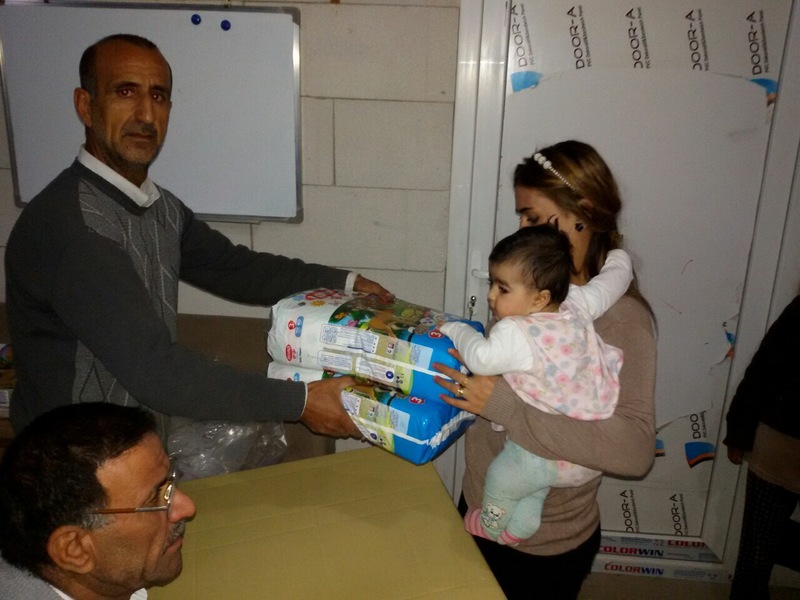 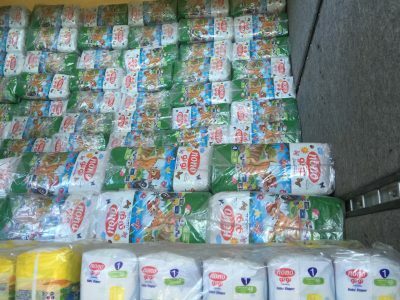 There is an urgent need for diapers for infants and toddlers. 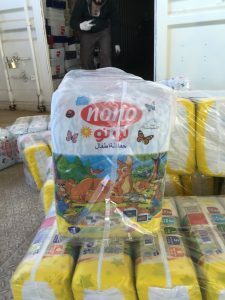 Some mothers have even cut up old or donated clothing to make diapers, but these are not absorbent. 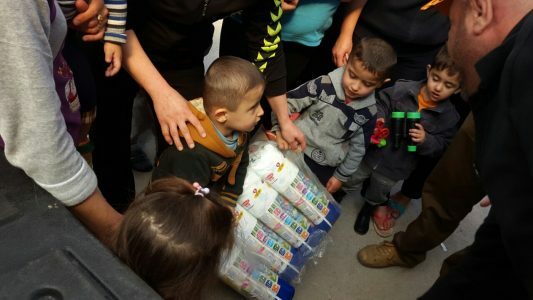 There is barely enough clean water to drink in some refugee areas and there is virtually no access to cleaning supplies for cloth diapers. 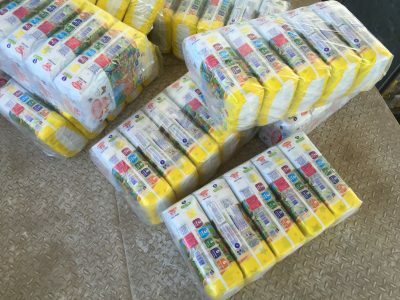 This lack of clean diapers caused severe diaper rash and other illness in infants. 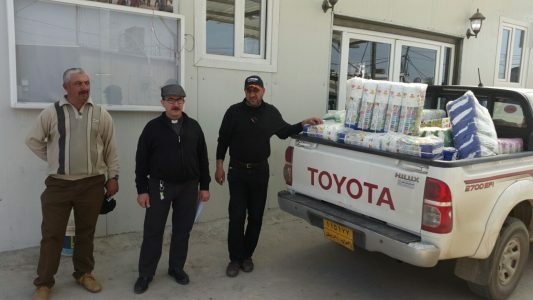 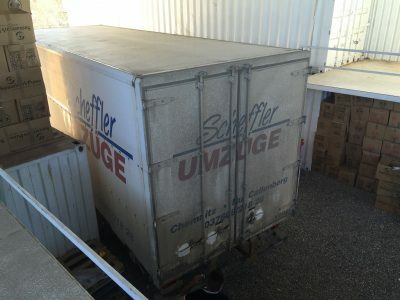 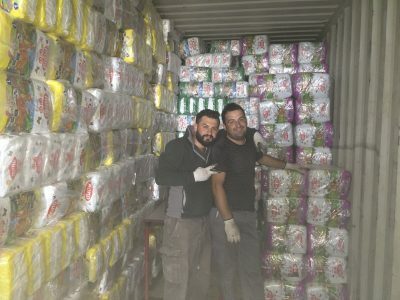 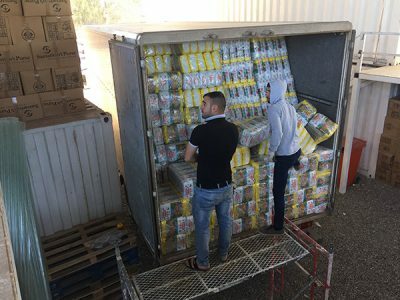 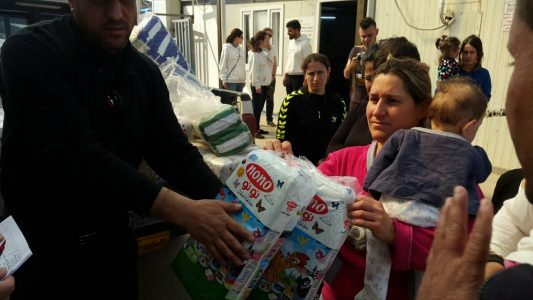 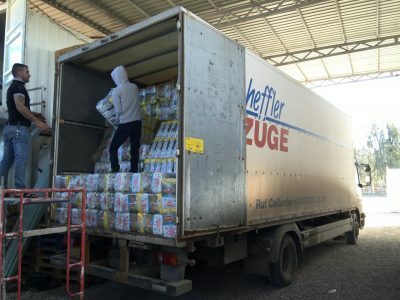 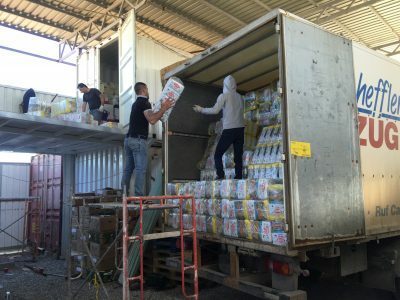 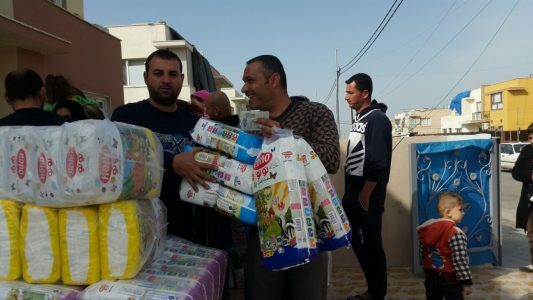 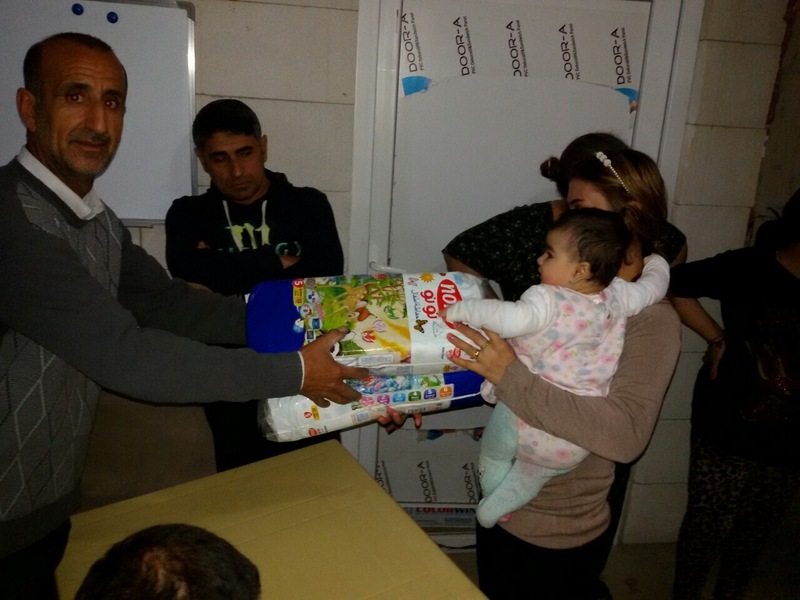 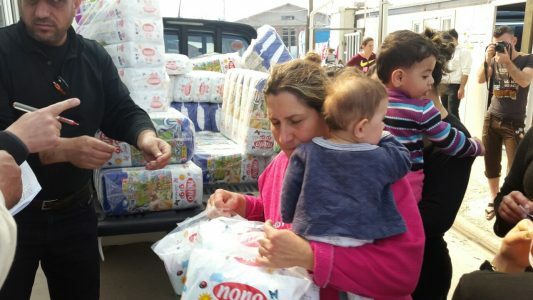 In In 2016 and 2017 the Diapers for Refugees program delivered 160,000 every 3 months to Christian families in need. 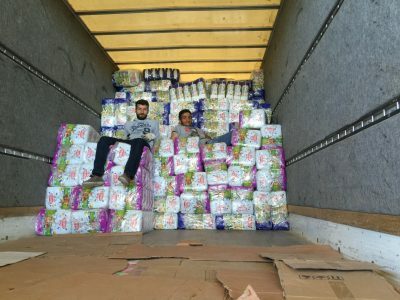 In 2018 we were able to double that and delivered over 1 million diapers plus additional help for women’s needs and the elderly. 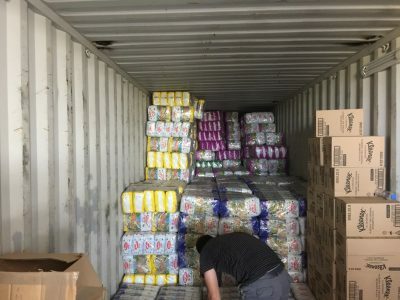 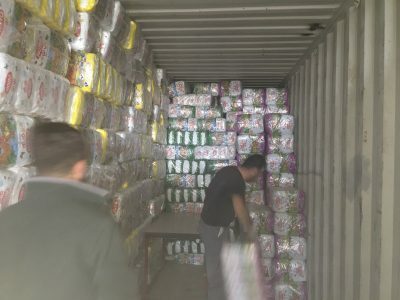 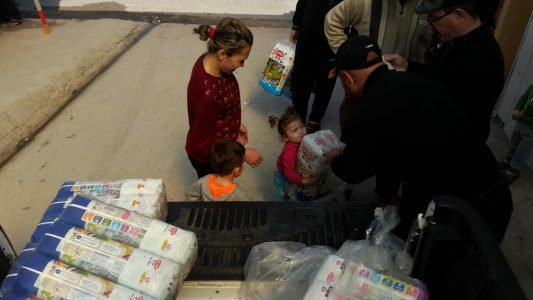 Please help us as we strive to reach our goal of over 1 million diapers delivered to Christian families in need in 2019. 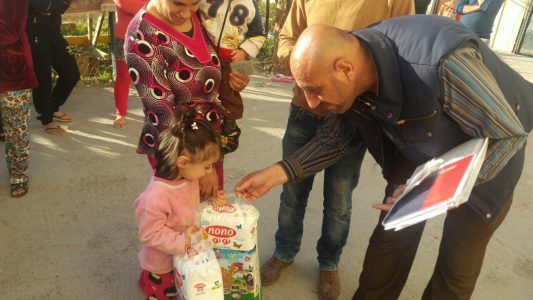 Every donor receives a lapel pin with the Arabic letter used to mark Christians and their homes for persecution. 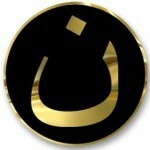 Make the Arabic letter “nun” your symbol of support.